Hoist UK are one of the most experienced distributors of Verlinde equipment in the UK, offering our customers first class technical support and direct access to the Verlinde spare parts stock. Hoist UK are an approved distributor of lifting equipment from French brand Verlinde to the UK market, with direct access to Verlinde's catalogue of spare parts across their range of hoists and cranes. 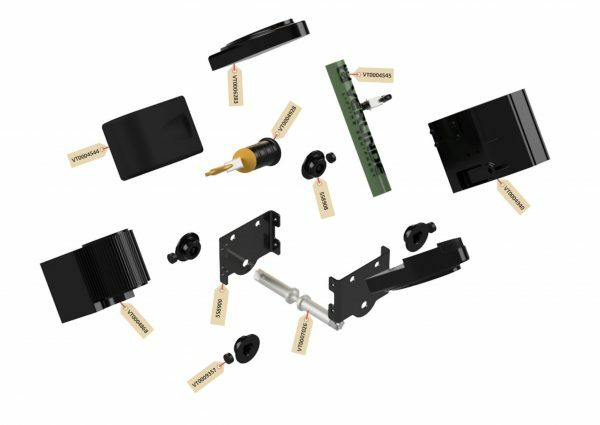 Our technical sales team have in-depth knowledge of the full Verlinde range of spare parts so if you aren't sure of the part you need, we can help identify the part you need whether it's a rope guide, safety latch, plate, brake or gearbox. For spare parts enquiries please email sales or call us on +44 (0)151 334 7682.